Our Danbury Office Cleaning Service is very popular among professionals who value their time. Our office cleaners will come in to your business and give it the uplifting spruce up it needs. Come into work the next day refreshed with a fresh smelling office. Meeting potential customers in a dirty office isn't the best idea. You might not notice the unsavory smell that your cleaned 2 years ago office furniture is giving off, but it only takes one sensitive nose to sniff out a bad deal. Impress your prospects with a fresh smelling office, clean furniture, upholstery, and windows. Your waiting room should be a great place to wait not a dreadful dirty one. Need help cleaning your office? Get a Free Quote by calling us at (203) 487-5944 or simply fill out the Cleaning Quote form for a call back. Dental Offices! 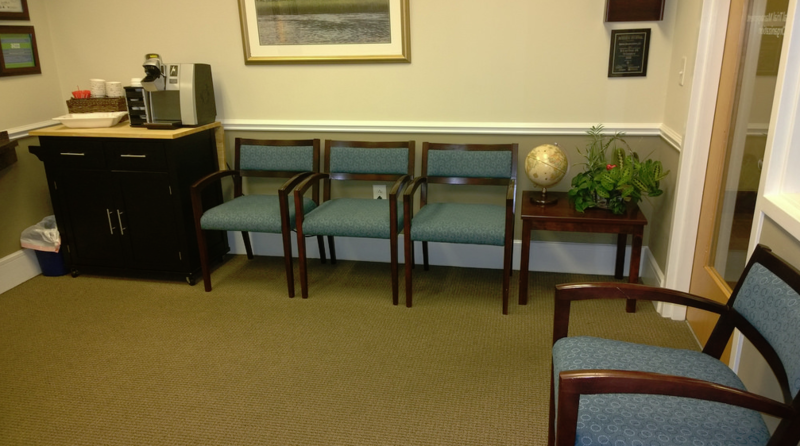 If you're a dentist in Danbury, Connecticut and your waiting room is dirty it's an instant turn off for many of your patients! There are many Dentists in the Greater Danbury area including New England Dental LLC, Dr. Dental, Dental Associates of Connecticut, Mondovi Dental Danbury, Soams Dental Care, Associated Oral & Maxillofacial Surgeons, AJ Dental Group, PC, Quality Dental of Danbury and Aspen Dental. Law Firms. If you're a lawyer in Danbury, CT and you've got a stench coming from the chairs in your waiting room then you've got a problem. You need to make sure your office is cleaned thoroughly and regularly or your deals will go sour. There are many lawyers in the Hat City including Corinne G. Silvert, Attorney at Law, Ventura Law, Baker Law Firm, Grover Deborah L, Law Office of Kevin P. Chamberlin, Jowdy & Jowdy, Koskoff Koskoff & Beider and the Law Office of Laurie Gallo, LLC. Physical Therapists. Owning a physical therapy clinic is nightmare to maintain. The amount of people that are traveling throughout the PT clinic on a weekly basis is insane. You need to make sure that your keeping up with your office cleaning. There are many different physical therapy offices in Danbury including Hat City Physical Therapy, Agility Physical Therapy, Select Physical Therapy, Danbury Hospital Physical, William L. Day, PT, Danbury Physical Medicine and Rehabilitation, Team Rehab and OrthoConnecticut Physical Therapy.